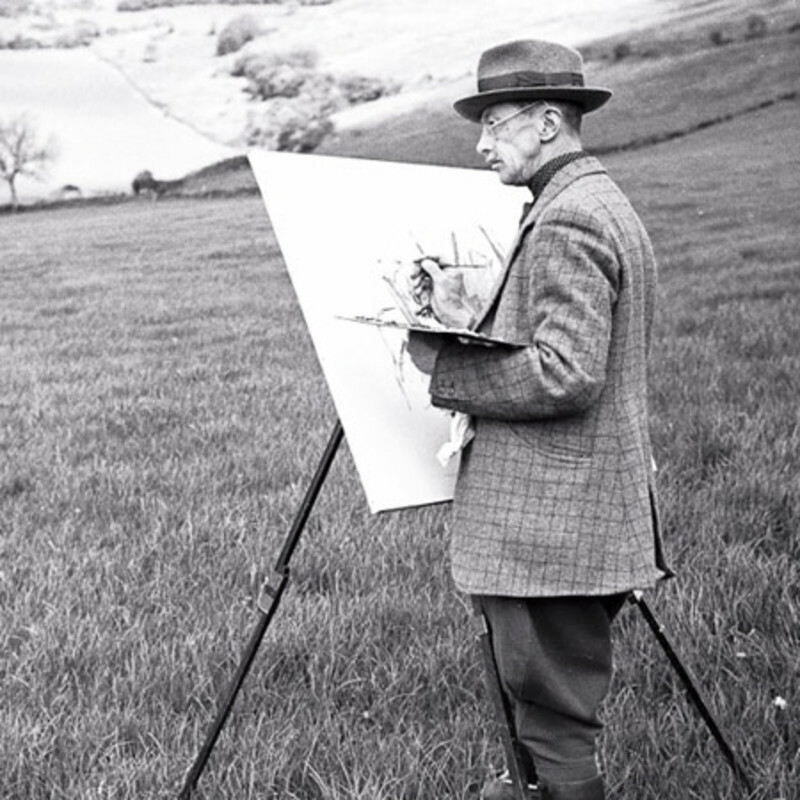 Lionel Edwards grew up in North Wales, following country pursuits and drawing in place of a formal education. Although originally destined for the military, it quickly became clear that his vocation lay in the visual arts. He studied in London at the renowned Heatherly’s School of Art. He worked for the Graphic and Punch before serving in the Army Remount Service during the First World War, an experience he described as 'four solid years of nothing but horse' which brought an exciting realism to his art. After the War Edwards was increasingly drawn to hunting and sporting art. As an ardent hunter and brilliant draughtsman, he was perfectly equipped to portray the frisson of the hunting field: hounds with tongues rolling in exhaustion; finely tuned horses straining for their next cue; and riders immersed in the physical exertion of thundering over the raw winter land at breakneck pace. Quintessentially British, Edwards's paintings are often endowed with ‘tempered’ colours reflecting the climate and play of light on the landscape. Edwards became a member of the Royal Institute in 1927. He wrote almost thirty books during his life and illustrated many more. Edwards was a regular exhibitor at Rowland Ward’s and held solo shows at the Tryon in 1961, 1964 and posthumously in 1970, as well as featuring in numerous group shows since.